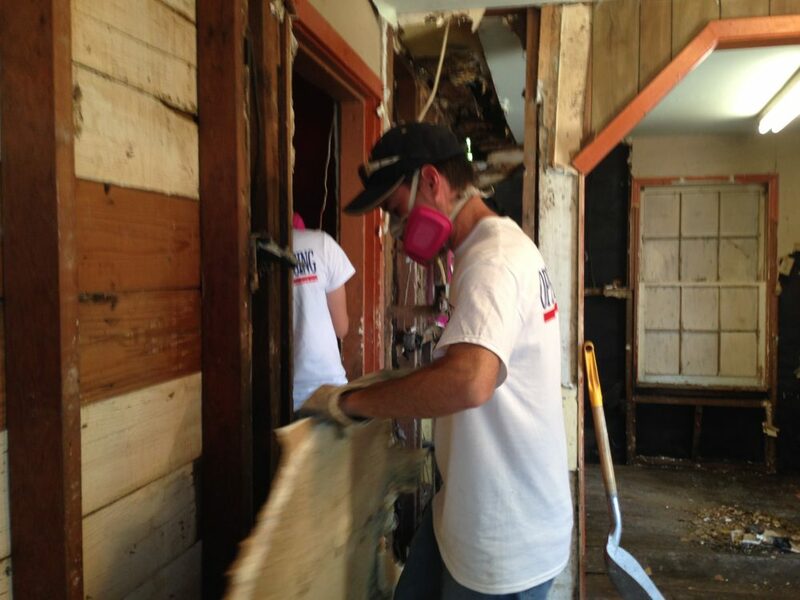 A volunteer working with the group Operation Blessing helps clean up a Rosenberg home located close to the Brazos River that got flooded. Houston’s housing department is ready to ask the state for more than $23 million for home buyouts. Houston city council approved an application for disaster recovery funds from the Texas General Land Office. The money would be used to buy homes that repeatedly flooded in 2016. Harris County officials are urging residents to monitor the weather because of the system that’s moving into the Gulf of Mexico and to use extreme caution if they venture out into rainy conditions. As of Wednesday morning, bayous, creeks, and tributaries were expected to remain within banks. However, roadways and streets may become impassable, according to the Harris County Flood Control District (HCFCD). As U.S. Catholic leaders head to the Vatican to meet with Pope Francis about a growing church abuse crisis, Cardinal Daniel DiNardo –who is leading the delegation– has been accused by two people of not doing enough to stop a priest who was arrested this week on sexual abuse charges. The two people told The Associated Press that they reported the priest and met with Cardinal DiNardo, of the Archdiocese of Galveston-Houston. One of them says she was promised in a meeting with DiNardo, several years after she first reported abuse, that the priest would be removed from any contact with children, only to discover that the priest remained in active ministry at another parish 70 miles away. Real estate analysts say current market conditions in Houston are healthy, but due to Harvey last year, measurements used to track those trends have been thrown off. The Houston Association of Realtors (HAR) announced home sales rose 37% in August compared to last year because Harvey virtually stopped most home sales in the last week of August of 2017. HAR calls it “the Harvey effect” and expects numbers to continue to be distorted through September. 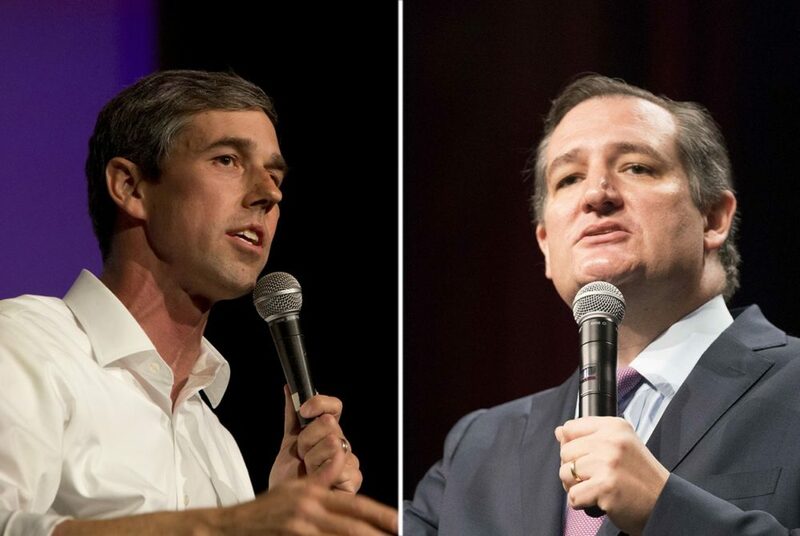 U.S. Rep. Beto O’Rourke, D-El Paso (left), is challenging Republican incumbent U.S. Sen. Ted Cruz. Senator Ted Cruz is once again charging his Democratic opponent, Congressman Beto O’Rourke, with opposing tax relief for victims of Harvey. The legislation, which Cruz co-authored, allowed people to deduct the cost of Harvey-related home damage from their taxes. It also allowed homeowners to dip into their retirement savings, without incurring a tax penalty, in order to pay for storm-related repairs. O’Rourke says he voted against it because the bill did not include reauthorization of the Children’s Health Insurance Program (CHIP), which was about to expire.